INFOFoam Wonderland produces the biggest foam party production across the country, touring from city to city and bringing the world's hottest DJ's to take over the stage. 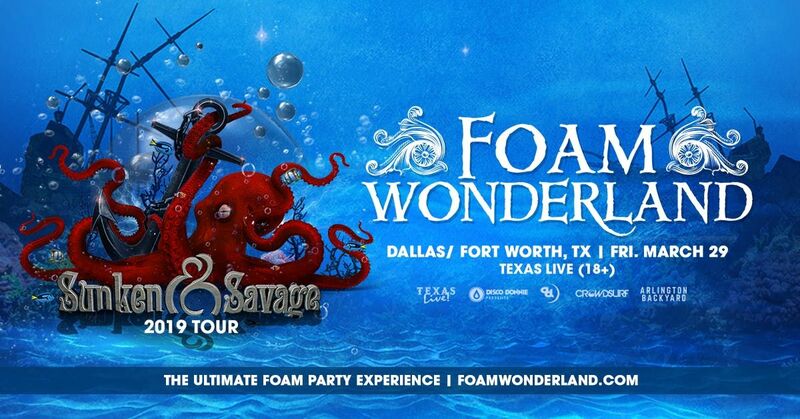 Brace yourselves a wild deep sea adventure with this year's theme on the Sunken & Savage Tour 2019!CONNECTInstagram: http://Instagram.com/FoamWonderlandAsk Questions on Facebook: http://Facebook.com/FoamWonderland--- DISCLAIMER ---Rain or shine event.Lineup subject to change.Tickets are non-refundable.YES, YOU WILL GET WET!Although there are dry areas within our venues, expect to get wet.. This is a foam party! If you have any concerns about your safety, please do not participate in this event. Take extreme caution, there is a zero tolerance policy enforced. 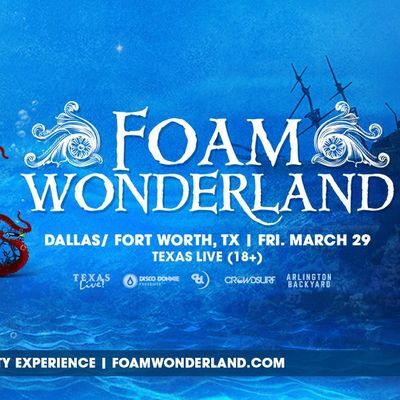 Foam Wonderland disclaims responsibility and liability for injuries, accidents, and/or occurrences that may result at at a Foam Wonderland event. Have fun and enjoy the experience!--- HELPFUL SUGGESTIONS ---Wear clothes you don't mind getting wet - Swimwear is a great option.Bring your cell-phone in a plastic bag.Bring sunglasses or goggles.